As I ponder the continued popularity of that pesky rodent –– for I grew up on a farm where we trapped and hunted beavers, or blew up their land–soaking dam–nifications –– I wonder if the time is now ripe to launch a campaign to change, or at least add to, our Canadian biopolitical symbols. Culturally modified trees were once common in Nordic countries, among them the lobstick tree of the Canadian boreal forest. 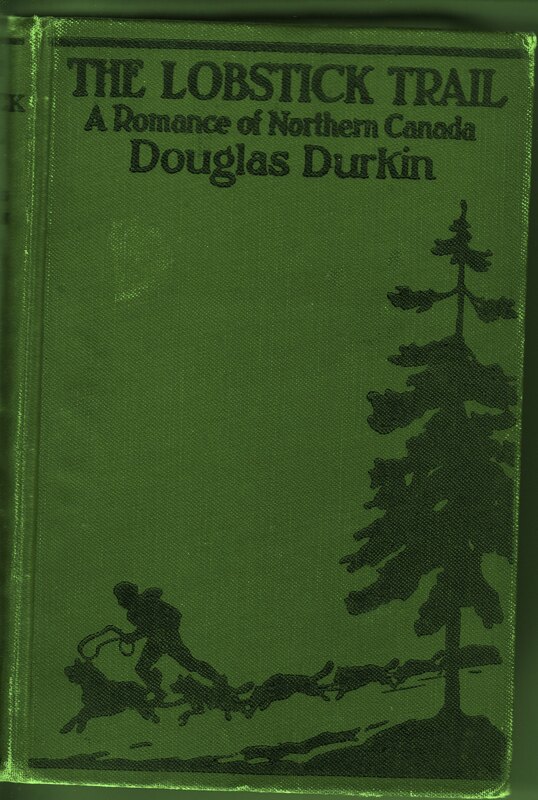 Douglas Durkin, a writer of northern romance novels, used the lobstick tree as a symbol of the north in his 1920 book, The Lobstick Trail. Margaret Atwood wrote poetry about them in 1970. Gwen Hayball wrote of the lobstick in the Canadian Geographical Journal in 1973. 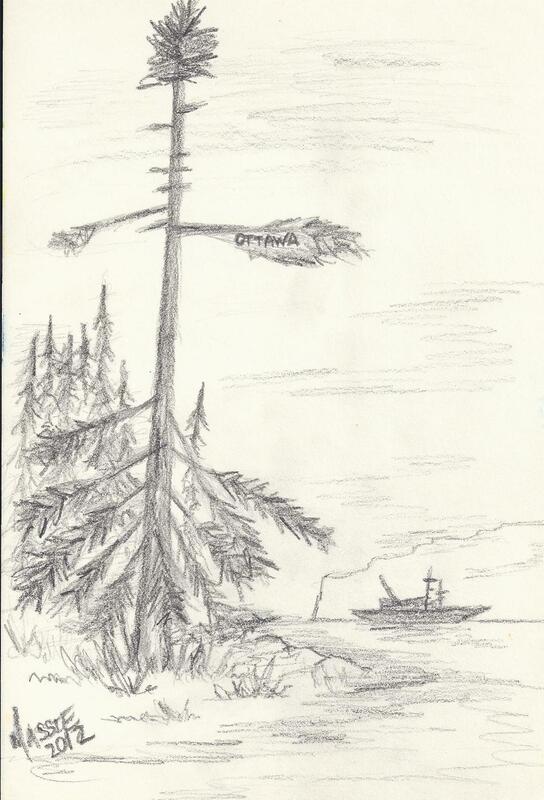 Caroline Podruchny, in her book Making the Voyageur World, documents the physical creation and the symbolic meaning of the lobstick tree for voyageurs in Canada’s north. In that version, all the branches would be removed (except the very topmost), leaving a tall tree often called a ‘maypole.’ Sometimes the bark would be removed, leaving a smooth surface to cut names, dates, or symbols, or simply to shoot patterns into the tree with gunshots and powder. A particularly gay version was created for Frances Simpson, wife Hudson Bay Company governor George Simpson, with feathers and streamers for decoration. A lobstick, according to Podruchny, was created to honour a new leader, particularly if it was his first trip into the northland. To repay the voyageurs for the honour of making a maypole/lobstick tree, the leader was expected to offer presents, or at least a generous measure of rum. It seems clear that in the voyageur world, the trees were created for their symbolic meaning – and, of course, to have a party. What I like about the lobstick is how it is both natural (a tree) as well as culturally modified (shaped, changed, and adapted; marred or scarred) –– in many ways, a fitting symbol of Canada itself. It is distinctly northern and boreal, evoking the dreaded wilderness of Atwood or the home of Joseph Boyden.